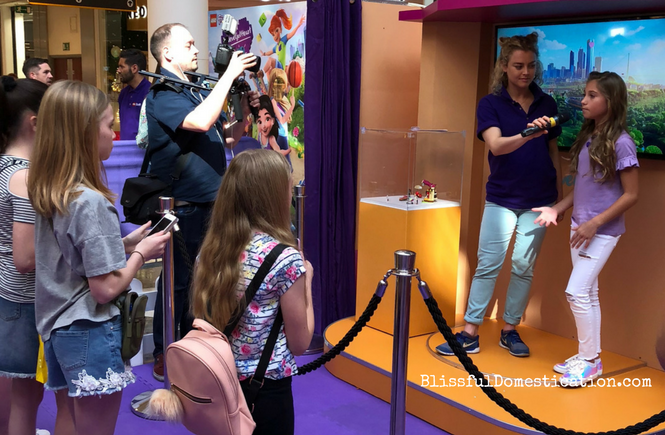 The House of Heart Tour is a group of free events inviting families to come and take part in a series of fun missions inspired by LEGO Friends. 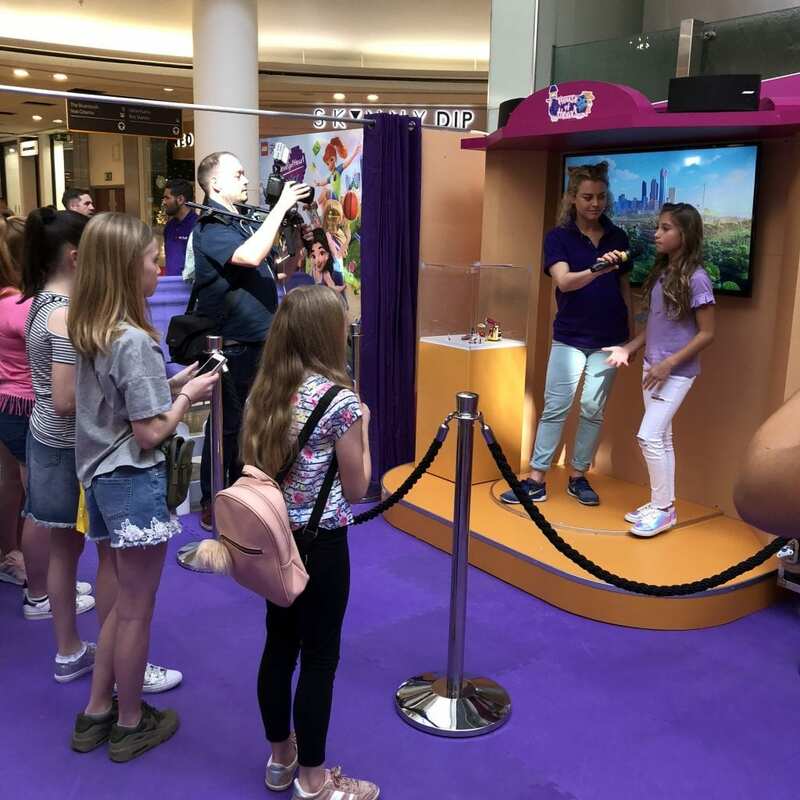 It is running over selected weekends this Spring at eight intu shopping centres across the UK. As part of the House of Heart Tour, the LEGO Friends Heart Squad has also been formed. 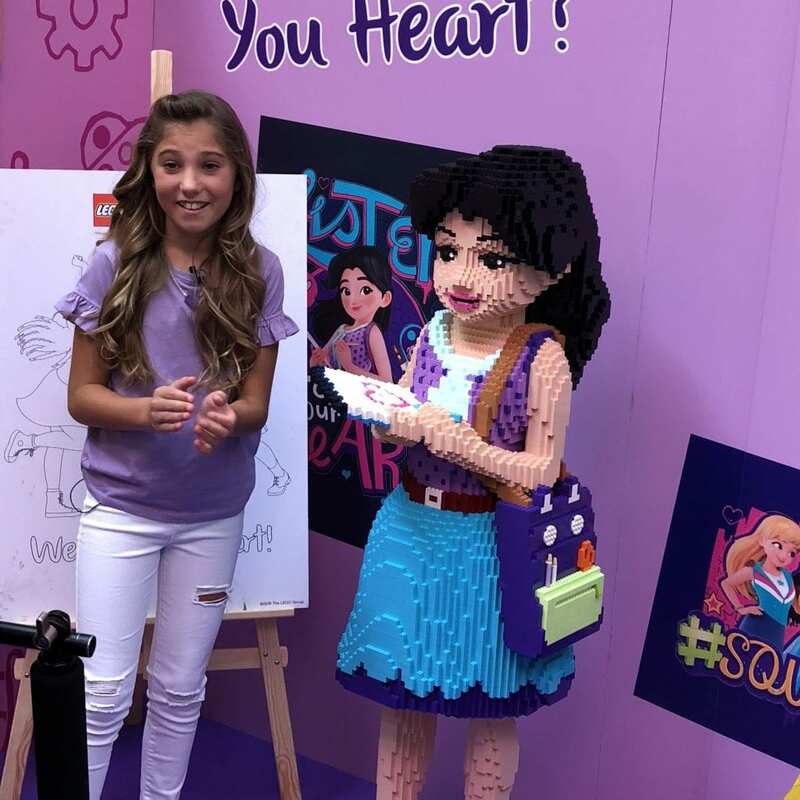 This is a group of girls that are YouTube sensations, that will be working together to ‘put more heart into the world’, just like the real LEGO friends. At 5 of the tour locations children will also have the opportunity to meet a member of the Heart Squad! At our event was Rosie McClelland. I loved LEGO as a child and still do. It’s a timeless toy where you can use your imagination to create something amazing. 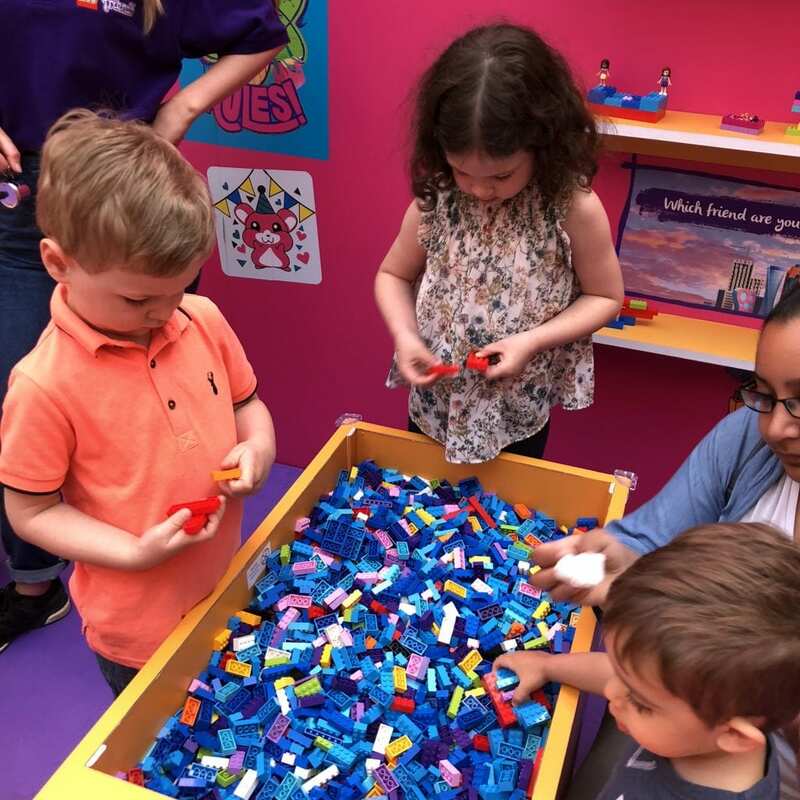 Whilst LEGO has evolved a lot over the years, it still has the quality to allow children to be both imaginative and creative. 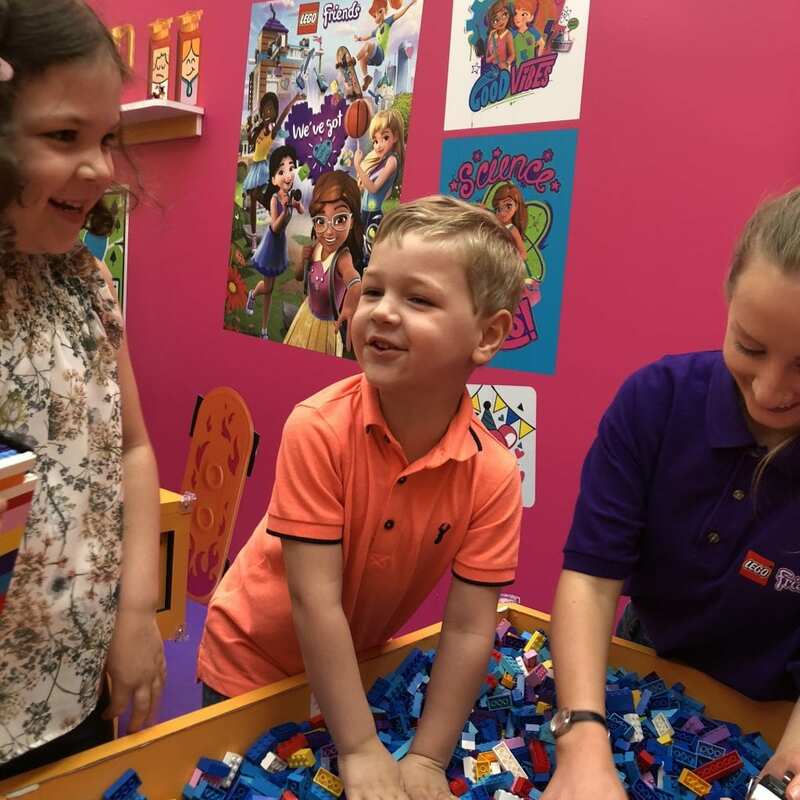 All our children love LEGO, but Isla in particular loves LEGO friends. She has quite a few of the sets now, all of the characters, and is also a fan of the TV show. In the car on the way there she proudly named the 5 friends that live in Heartlake city: Emma, Olivia, Stephanie, Andrea and Mia. Each character has different personality traits, but when they come together they can do amazing things. 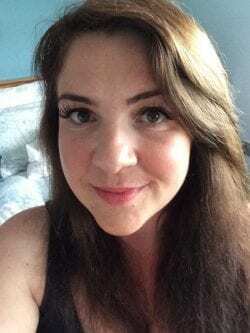 Her favourite is Stephanie, as she has long blonde straight hair and likes to swim. However, she thinks she is most like Emma who likes arts and crafts and is drawing and painting most of the time. 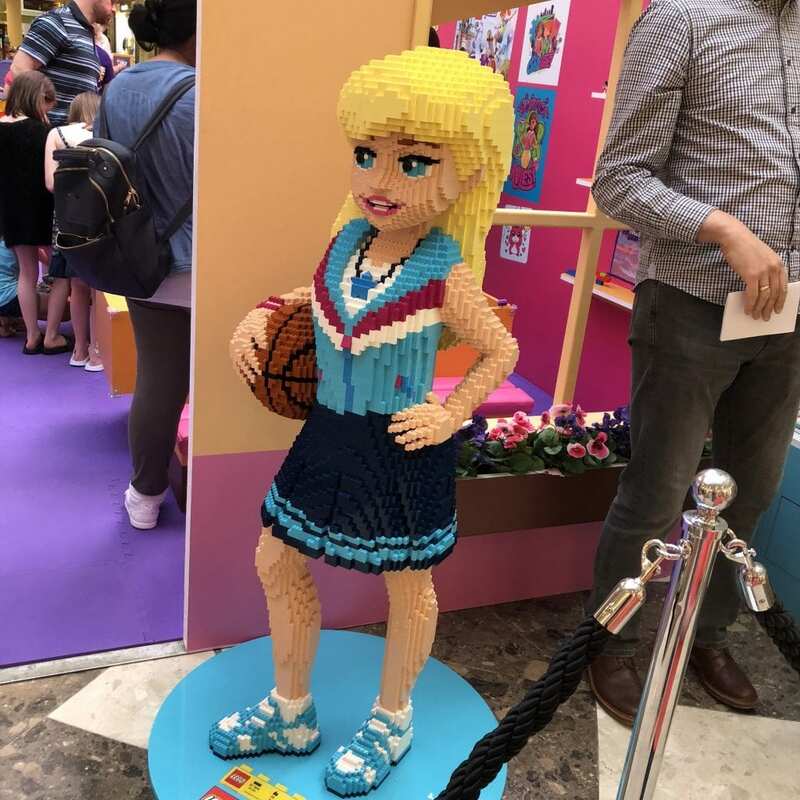 When we arrived, the kids’ faces lit up when the saw the life-size LEGO model of ‘Stephanie” at the entrance. Inside the House of Heart there were various ‘Brick Missions’ and ‘Heart Missions’ to complete. The staff were really friendly and helpful, and quickly put my children’s nerves at ease. They encouraged them to come over to the different stations and showed them what to do. 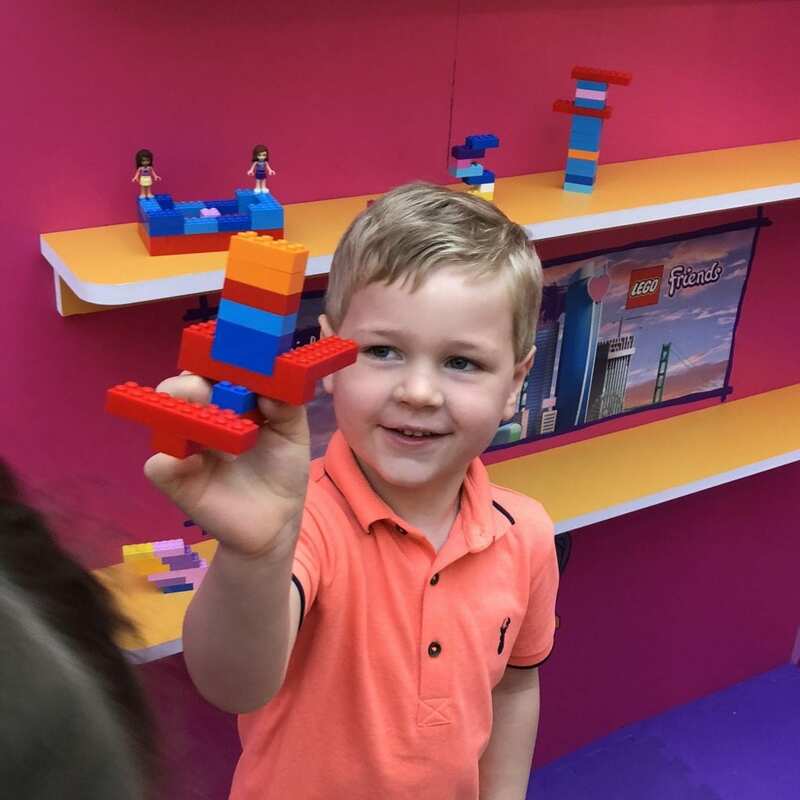 Oliver went straight for the largest tub of bricks, and a staff member showed him how to create a LEGO heart, which he proudly displayed on a shelf when it was finished. Isla on the other hand went straight to the mini figures to make up some of the her favourite characters from the LEGO friends sets. There was also a small stage where Rosie from the Heart Squad was meeting fans and chatting to them. I had shown Isla some of her YouTube videos before we went to the event, but she was too shy to go an meet her. Nether the less, Rosie was very friendly, and when the queue of fans had died down, she came and chatted casually to the children whilst they played with the LEGO. There was also a Q&A session for Rosie to answer questions from her fans. Again Isla was too shy, but listened intently, and was very excited to hear that Rosie liked drawing and crafts too. After the Q&A it was back to creating some LEGO masterpieces. The kids were having a lot of fun, and Oliver was very proud of the submarine he made just using his imagination. 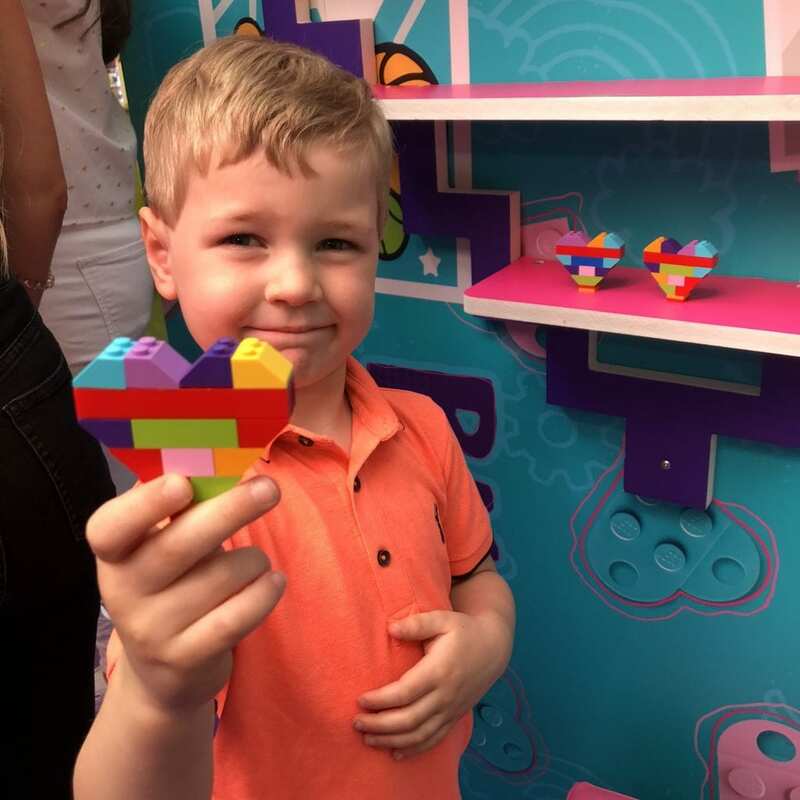 After we finished our final ‘Brick Mission’ of building a LEGO flower to decorate the outside wall of the house, the kids went to the photo booth to finish their ‘Heart Mission’ where they could grab props for a free photo. 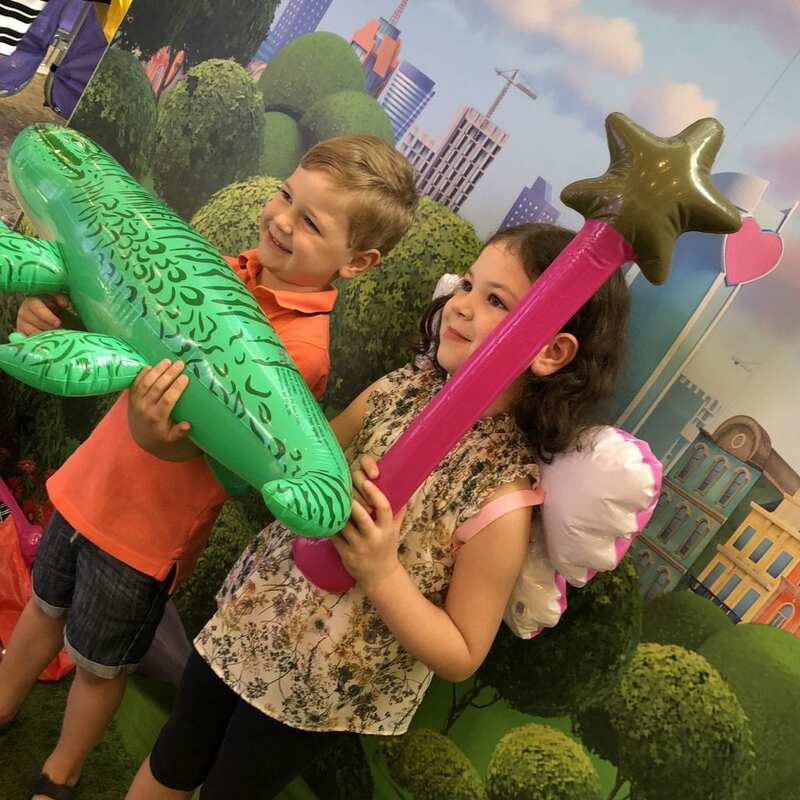 Very predictable Isla went straight for the fairy wings and wand, and Oliver to the crocodile. I’m not sure if it was the props, or that they were just generally having fun, but I managed to get a nice picture of them both smiling! With tummies rumbling for lunch time, we headed out of the House of Heart, but not before both kids were given a goody bag which included some colouring in, a ‘Which LEGO Friend are you?’ quiz and a small LEGO friends set. Two very happy children. This event was held in association with Very.co.uk, and you can see their full range of LEGO products by clicking here. 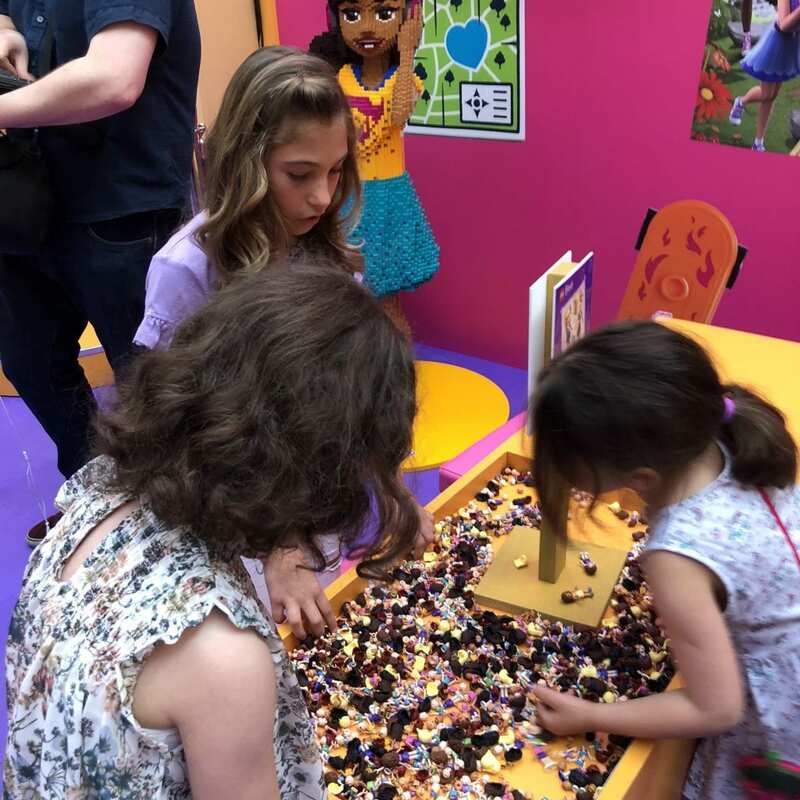 So do your children love LEGO Friends as much as mine? 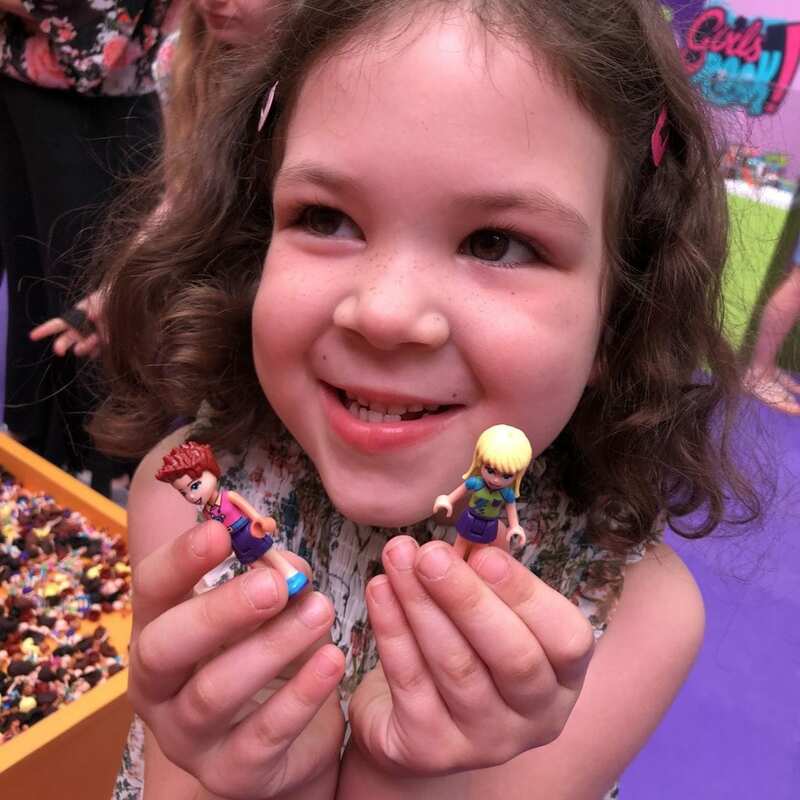 What LEGO Friends character is your daughter most like? Disclaimer: We were invited to this free event and given a free gift in return for this review, but all words and opinions are my own.